(28) Talk Radio Europe, Spain – Keith made another live guest appearance this morning on the highly-respected, Talk Radio Europe, this time the Selina MacKenzie Show. The topic of conversation was, unsurprisingly, his book on Marilyn Monroe. (18) America – Top Barnes & Noble biography & memoir critic, Edward, chose Marilyn Monroe: The Final Years as one of his Top 10 books for the month in his on-line column, Edward’s Picks. (16) Record Collector, London – Keith’s tribute to the late Bee Gee, Robin Gibb was published in the latest edition of Record Collector magazine, as part of his regular monthly feature, Rockin’ The Box. (15) America – As the release in the States of Keith’s Marilyn book edges ever nearer, it was revealed that the publication has reached the dignified No.5 position in the “Best Sellers in Marilyn Monroe Biographies” section on Amazon.com. (11/12) Berkshire, England – Keith updated his Linkedin page, when the experience, projects and books published sections were brought right up-to-date. (10) Berkshire, England – Keith concluded work on the latest Queen-related project; the DVD/ Blu-ray release, Queen Live in Budapest ‘86, in particular the set’s bonus feature, Hungarian Rhapsody. Interestingly, in a press-release issued on June 27, it was announced that the main feature (in association with Sony Digital Cinema and More2Screen) will be released to selected cinemas Worldwide from 20th September 2012. 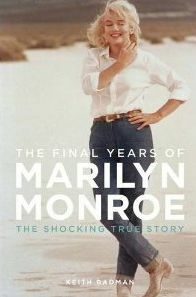 (9) America – Eight days before its official release, Marilyn Monroe: The Final Years reached the No.9 position in Marilyn biographies section on Amazon.com. (6) Berkshire, England – Keith (quite proudly) conducted an interview with Sylvia Gong, Senior Editor of the full colour, glossy, general newspaper and fashion magazine, The Chinese Weekly, the most popular print media of the elite and middle class in big and medium cities in China. The first and only of its kind in China, the publication boasts a circulation of 1.5 million and a nationwide readership of 1.99 million. Naturally, the piece focused on Marilyn Monroe, the Chinese-language version of Keith’s book and the upcoming 50th Anniversary of the actress’s death. (5) Italy – Just one day after its release, Keith’s book reaches the lofty No.5 position in the “Bestseller in Cinema e Television” section on Amazon.it. Further accolades for Keith's book came when the Daily Express columnists, Jane Clinton and Graham Ball choose (on the 19th) the publication as one of their, "Best Of The Lot", celebrity book gift choices for Christmas. In a piece entitled, "Stuck For A Present? Just Follow That Star," Keith's book was selected alongside works by showbiz luminaries such as Michael Parkinson, Joanna Lumley, Maureen Lipman and Michael Caine. What an absolute, absolute honour! On December 8th, the 30th anniversary of John Lennon's tragic passing, Keith was a guest on the live, American, one-hour, NPR Radio, Lennon tribute show, On Point. Appearing alongside him on the programme was Alan Light, one of Rolling Stone's premiere music critics. Away from the media, Keith was out and about in December, seen at the Arsenal vs. Partisan Belgrade, Champions League game at the Emirates (on the 4th - Thanks Laurence!) and at Paul McCartney's Christmas concert at the HMV Apollo in Hammersmith (on the 18th - Thanks Steve!). Plug time: Want to watch one of the funniest, best-written, best-produced comedies on TV in years (well, since Curb anyway)? Check out the rather lovely, Patricia Heaton in The Middle. (You can catch it on ABC TV in America and Sky Television in Europe.) Just wonderful! Keith's regular, archive music series in the wonderful Record Collector magazine, Rockin' The Box, have also continued. These have included lengthy pieces on John Lennon's last-ever on-stage performance in 1975 (November edition), the 1977 Daily Mirror Rock & Pop Awards concert (December) and The Hollies' recording 'On A Carousel' for Granada Television back in 1967 (Christmas edition). Once again, our Mr Badman is not one to endorse products but one recent release has caught his attention. Released by MVD Visual, the strange DVD, Paul McCartney Really Is Dead: The Last Testament Of George Harrison, will certainly provide both fans and critics alike with plenty of food for thought. The Final Years Of Marilyn Monroe - The Shocking True Story hits the stores in the UK/ Europe/Canada/Japan on Saturday, September 25. The Australia/ New Zealand release date has, however been shifted back to October 15. Thanks to everyone who has purchased Keith's book in advance. He hopes it lives up to the expectations. The countdown to the release of Keith's long-mooted tribute book to Marilyn Monroe has well and truly begun. Here's the first glimpse of the cover....Five years in the making and now sporting yet another new title, the book, The Final Years Of Marilyn Monroe: The Amazing True Story, is all set to appear across the globe on Saturday, September 25. Pre-orders can be made at all outlets of Amazon, including Amazon.co.ukAmazon.com Amazon.fr as well as at Tesco.com. Major News! Research on Keith's Marilyn Monroe book has finally come to an end. After five-years of extensive work, the very last full-stop on this ground-breaking assignment has been typed. Now sporting an alternate title of "Marilyn Monroe: Her Final Years, As It Was, As It Happened," it is expected to hit the shops in August 2010. The publisher is JR Books. Keith would like to thank every single one of you who has assisted him along the way. More news on this most exciting project shortly. Expect to see the front-cover soon. Articles News! Keith's pieces about Pink Floyd's lost 1967 appearance on TOTP and Oasis's slot on the 1984 television show, With... appear in the current issue of Record Collector magazine. Keith in the media! Quotes by him about The Rolling Stones legend, Ronnie Wood appeared in The Daily Express newspaper on Thursday, January 14 and remarks about the possible closure of Abbey Road Studios were heard on a few local BBC radio studios during the day of Tuesday, February 16. 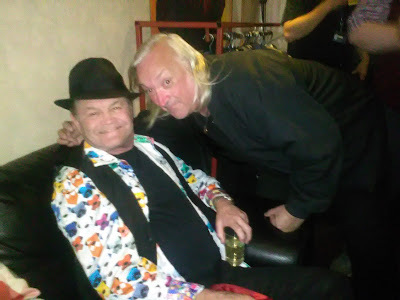 Very special thanks to Mod-legend, author, friend, Terry Rawlings, DJ, Mod-sage, record-label boss, Eddie Pillar and David and Paul of Izon Audio Visuals, for a most enjoyable evening later that day. It was for the shooting of an exciting new film. More news on this shortly. Oh, by the way, big thanks to Mick Avory of The Kinks, who was there too. He's still a thoroughly decent chap! My conversations with him are always most enthralling. Our Mr. Badman is not the one to endorse products but sometimes there is an exception. The new John Lennon DVD, Rare & Unseen is one. Released by Weinerworld Ltd., the 75-minute documentary contains many rare clips of the great man, including, for the first time on DVD, his appearance on the 1972 ITV show, Aquarius and interview on LWT's Weekend World from the following year. Really superb stuff and a must for all Lennon buffs! Thanks to everyone who remarked how much they enjoyed Keith's video show at the Liverpool Beatles Convention last month. The worldwide premiere screening of the new 'Magical Mystery Tour Memories' documentary was well-received also. Great seeing so many old friends and, of course, Keith's wonderful web-mistress, Anne Marie. Fancy reading about The Clash's 1979 appearance on the classic ITV pop show, Alright Now or Ringo's brief slot on a 1970 edition of Frost On Sunday, then check out the latest editions of Record Collector. Latest update from Keith - "My highly exhaustive Marilyn Monroe research rolls. Amazing to think that, 46 years after her death there is still new info about her waiting to be uncovered! 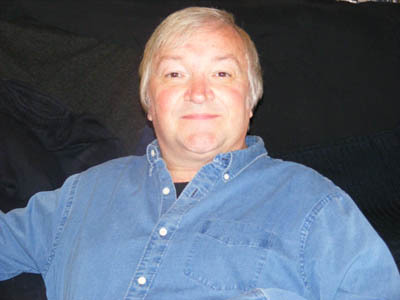 Special thanks this month goes to Bob Boyer, who has been another star for me on the project out in America. His input and help is greatly appreciated. The television / DVD documentary, The Beatles - Magical Mystery Tour Memories, on which Keith was a consultant is going to be screened in by him in Liverpool next month at the massive 6-day Beatles Convention. Special guests should be in attendance at the showing. Watch this space." "Marilyn Monroe: Her Final Months, As It Was; As It Happened"
Keith is very pleased to announce that he has signed a deal with JR Books to publish the aforementioned title. A release date has been set for Autumn 2009. Keith would also like to thank his new agent, Robert Kirby at United Agents for handling the deal. New Book Update: Keith's highly exhaustive Marilyn Monroe research is progessing wonderfully. Special thanks this time must go to Mitch Ison for handling one aspect of the research out in the States. He really cannot be thanked enough. Watch this space for more news on the project, which is set to appear in late 2009. Record Collector articles continue to come. Catch the latest issues for in-depth pieces of Burt Bacharach's 1965 Granada TV special and the 1972 London Weekend Television series Two Gs And The Pop People. Thanks to John Nolan and Richard Higgins at ITN Source for their invaluable help with these. Concerts that Keith has been seen at recently include The Zombies, Yardbirds, Chas & Dave and Buzzcock Steve Diggle. The latter is a true star! Catch his show if you can. You won't be disappointed. 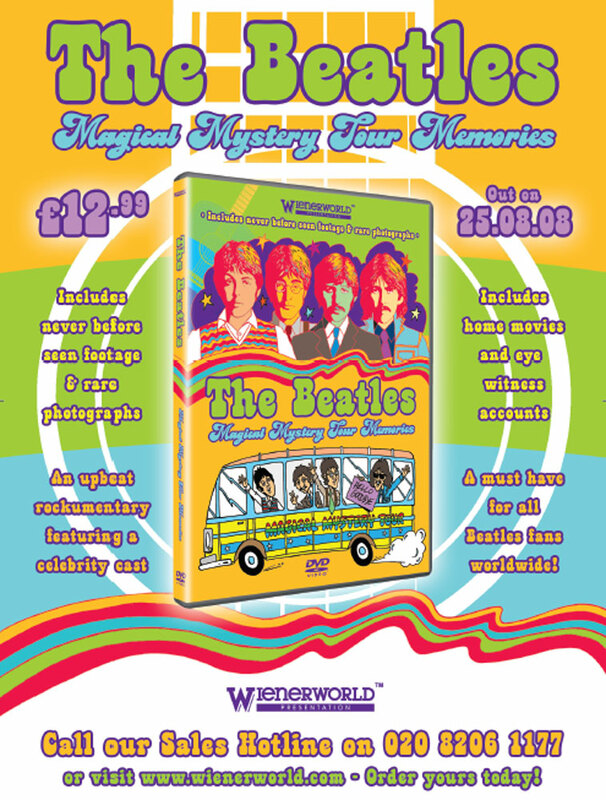 Keep a look out for the documentary, Beatles Magical Mystery Memories. Keith has seen an incomplete 34-minute edit of the show and it looks absolutely superb! "Extensive Marilyn Monroe research continues: Keith would like to once again thank the wonderful staffs at the Colindale Newspaper Library, the British Film Institute, the BBC Written Archives Centre and The Washington Post for assisting him with his project. Many thanks to you all." "Keith's archive TV examinations continue in Record Collector. His piece on the 70s television favourite Lift Off With Ayshea features in the current edition. Thanks to everyone who replied to my request for current information about the show's host, Ayshea Brough." "Keith was a guest contributor on several radio stations on Monday (March 17). Beatles expert, Mr. Badman was on hand to give his view on Sir Paul McCartney's rather messy divorce from Miss Mills." Keith would like to wish all the visitors to this site all the very best for 2008! 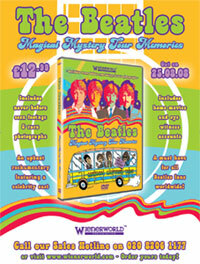 Keith has been a consultant on a new and rather exciting unofficial documentary about Magical Mystery Tour. This is going to be rather special so watch this space for further news and check out the website here! Thanks for everyone who sent in information re the current activities of 1970s TV host / star and singer, Ayshea Brough. Record Collector update: Keith's examination of the footage taken at the 1968 Melody Maker Awards and the Lulu According To Freud ITV special from that same year are featured in the issues dated February and March respectively. And thanks very much indeed to this individual who thinks that the words of Keith Badman are worthy enough of a page here! The individual clearly has taste!